Appearance. These custom-designed, nature-integrated homes in the BuildingCircles community appear to “grow” naturally out of the ground. Gentle contours and landscaped earth-berming rise to the lower sills of recessed windows. In between the windows and doors the ground slopes gently to the living roof, blending with nature. In turn the eaves can support vegetation (i.e. vines or other climbing plants) which descends down to the top sill of windows and doors. Although the home is sheltered by earth and vegetation, it's "above grade" siting will permit abundant light through windows and skylights. Individual choice of landscaping, stonework facades, doors, windows, decks, and courtyards will make each home a unique expression of the resident's taste. The interiors will also reflect owner choices for maximum comfort, style, and sustainability. AdvancedGreen - Beyond "Green Chic." 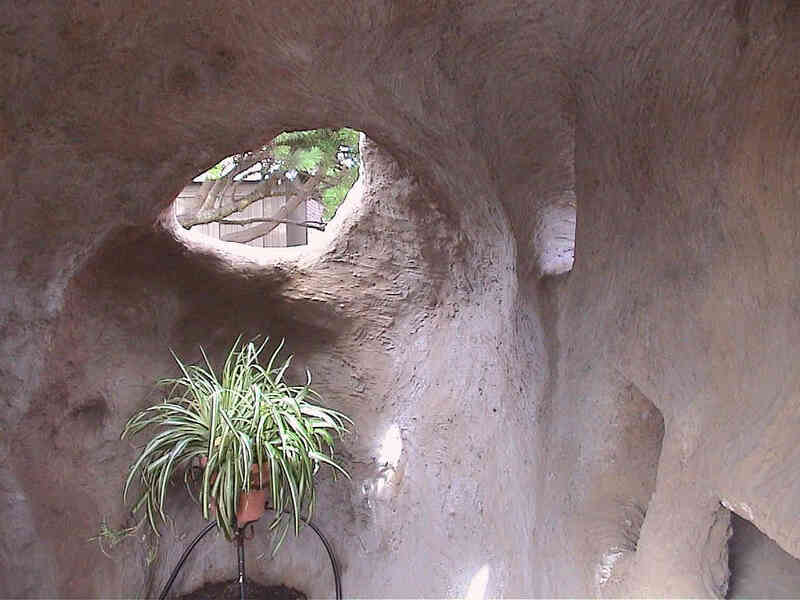 The heart of our AdvancedGreen designs is a "living house" that locally collects as much energy and water as it uses. It will minimize its ecological foot print by using mostly water pervious surfaces and managing run-off intelligently. Our goal will be to strive for standards set by the Cascadia US Green Building Council in their "Living Building Challenge." That challenge raises the bar even higher than currently established standards of sustainability in the built environment (see BCO links page). We are also inspired by Dr. John Todd,The New Alchemy Institute (1971-1991), and Ocean Arcs International (1981-current). 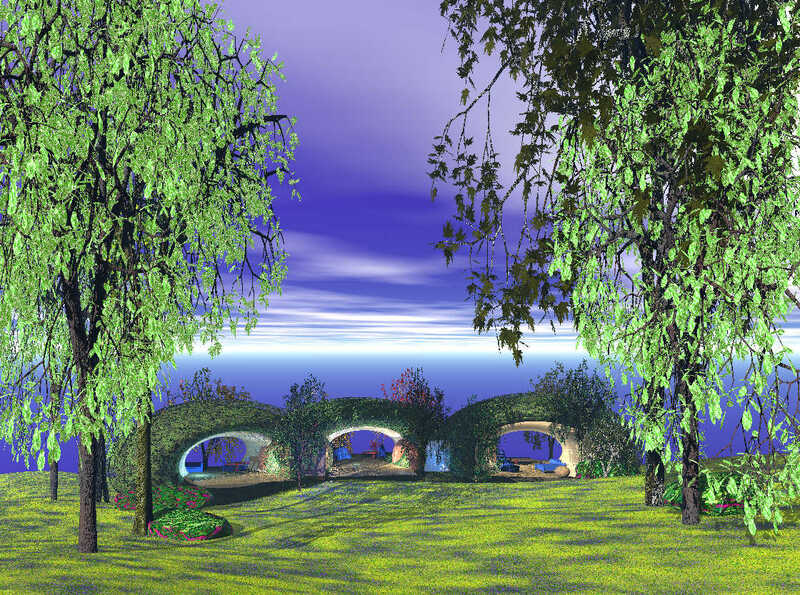 Visit the NAI wikipedia link, download "New Alchemy Institute Bio-Shelters" (a 65 MB .pdf) and OAI. Also learn about Eco-Machines (now offered commercially by John Todd Ecological Design). live in safety and ease with universal design. enjoy a lush and vibrant, nature-integrated.profile. depend on a durable, disaster-resistant, and low-maintenance house. heat with the sun and cool with the earth. use built-in, highly efficient, local energy and water systems for a smaller carbon-footprint." Full-scale gardening on load-bearing roofs. Compliance with King County building codes, public health requirements, and GMA zoning. Affordable. The rewards for downsizing include reduced cost of materials, time required for building, and cost of financing, which will all contribute to a lower initial cost for these homes. In addition, they are anticipated to have low maintenance costs and could result in significantly lower energy costs than even partly "green" but more conventional larger houses. Materials and Structure. The BuildingCircles ferrocement homes will be designed for low maintenance and solidly built to last. These efficiently sprayed, highly insulated, shotcrete structures will use recycled steel and sustainable, blended concrete (hemcrete). Floor, walls, and roof all flow together for one contiguous, curvilinear, exceptionally strong, monocot structure. 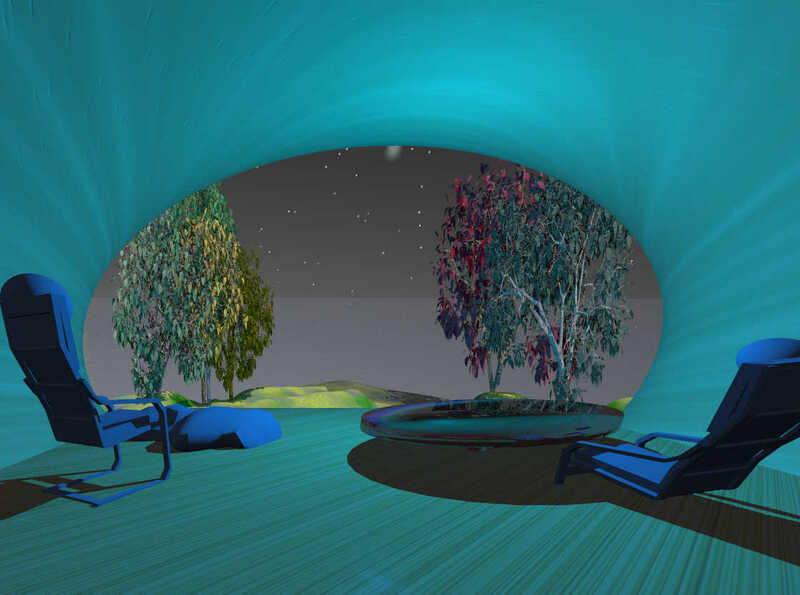 Curvilinear designs can optimally extend the livable space of conventional domes by outwardly curving above-grade like a pumpkin nestled into the earth. Bay windows with window seats can also extend out beyond the building "footprint." Solar-heated greenhouses with raised beds for accessibility will also be earth-sheltered. Earth-sheltering is best done with strong shapes and materials for high "load-bearing" capacity. Conventional "post and beam" construction cannot cost-effectively perform as well. Spray technology (for structure and insulation) can also be more cost-effective than conventional "stick-built" homes. Also see our FAQ and links page for more about materials and structure. Oshonia is an example of a curvilinear structure constructed from steel and concrete.